Doom over Belgium on the 9th of December! Our comrades from the Traumatic record label celebrate their 5th anniversary. 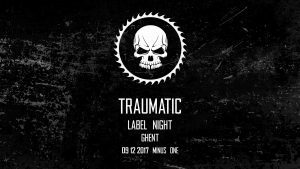 Traumatic’s main protagonists will perform all night long so all of you who are into dark & harsh electronic music should not miss this event!